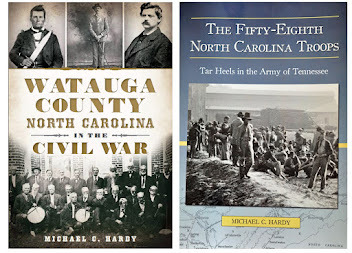 I am always on the lookout for books about North Carolina and the War. 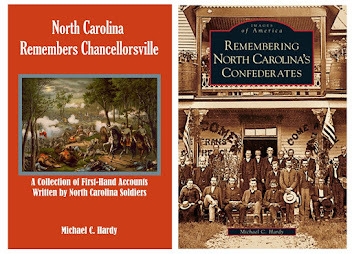 The vast majority of the tomes I have written are on the subject, and I'm always looking for others to help increase awareness of what took place in the Old North State. 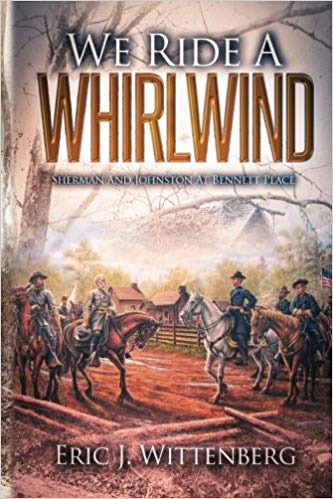 Recently, I had a chance to pick up a copy of Eric Wittenberg's We Ride A Whirlwind: Sherman and Johnson at Bennett Place (Fox Run Publishing, 2017). Everyone who has studied the War is familiar with the surrender of Lee to Grant at Appomattox in April 1865. It is the subject of several books and the site of a National Park. 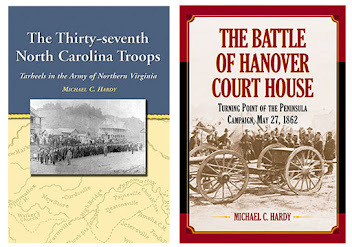 The surrender of Joseph E. Johnson to William T. Sherman in North Carolina often seems to be a mere footnote, although Johnson surrendered more Confederate troops and a huge swath of territory. The literature of Johnson's surrender continues to grow, and might actually surpass that of the more famous episode in Virginia. We Ride A Whirlwind picks up the story following the battle of Bentonville. Following the March 1865 battle, Johnston moved his army back toward Raleigh, and eventually toward Greensboro. The victorious Federals moved on to Goldsboro for a brief rest and refitting. On April 13, 1865, Sherman's armies entered Raleigh. 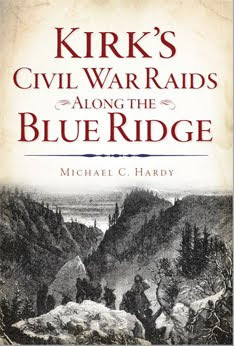 Jefferson Davis and the Confederate cabinet officers evacuated Richmond on the night of April 2, 1865, and moved to Danville, and then on to Greensboro, arriving on April 11, 1865. Davis and some of the cabinet met with Johnston and Beauregard in Greensboro and agreed to send a letter to Sherman, asking for a cease-fire so surrender terms could be worked out. Johnson and Sherman met at the Bennett Farm, outside Durham, on April 17 and 18, working out a set of terms that surrendered not only Johnson his army, but Davis and other civil officers as well. Copies of these terms were signed and sent to President Andrew Johnson in Washington, D.C., and to Jefferson Davis in Charlotte. Davis accepted the terms. However, Johnson rejected the terms, and Grant was sent to Raleigh to take over the negations. Sherman, thanks to Secretary of War Edwin Stanton, was belittled by the press, a slight for which Sherman never forgave Stanton. Soon thereafter, Johnson and Sherman worked out new terms, based upon those Grant had given Lee at Appomattox. Despite the directives of Jefferson Davis, Johnson surrendered to Sherman at the Bennett Place on April 26, 1865. 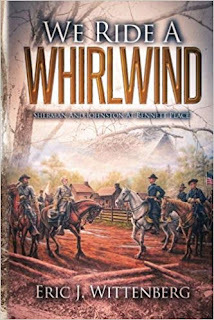 Unlike other volumes about the Confederate surrender at the Bennett Place, Wittenburg's goes into great detail about the Sherman-Stanton feud, outlining the missives that passed between Sherman, Grant, Stanton, and Union General Henry Halleck. He reprints letters and portions of memoirs completely, allowing readers to see for themselves the back and forth between top Federal commanders and their civilian handlers. 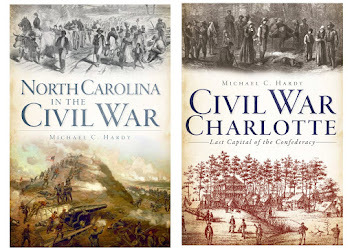 Those letters are the book's greatest strengths, laying out the frustrations felt by Sherman as the capitulation of the entire Confederacy hung in the balance. 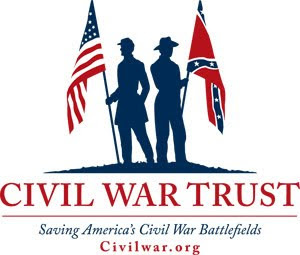 But Andrew Johnston and Edwin Stanton were not interested in receiving the surrender of Jefferson Davis, believing to do so would have acknowledged the legitimacy of the Confederacy. My only real complaint would be the maps. There are four, three of which are really hard to read (maybe my eyes are getting old). There are numerous illustrations spread through the 292 pages. The book includes copious footnotes, a bibliography, and index. 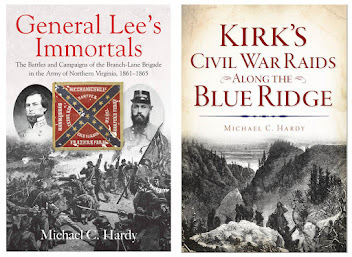 Overall, Eric Wittenburg's We Ride A Whirlwind is a fine, detailed edition to the literature surrounding the negotiations that led to the largest surrender of Confederate soldiers during the War. 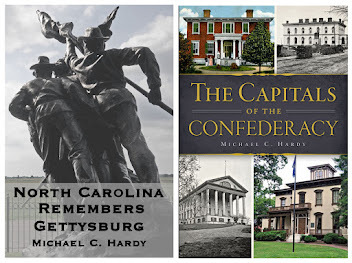 The events that transpired at the Bennett Place are just as important as those at Appomattox.